« IAM Photo Contest -Entry Deadline is June 15! a majority government in two weeks’ time. status with only five seats. down eight percentage points. 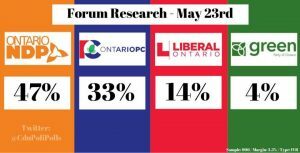 Ontarians go the polls on Thursday June 7, 2018.